Events at Explorers, Past and Future! 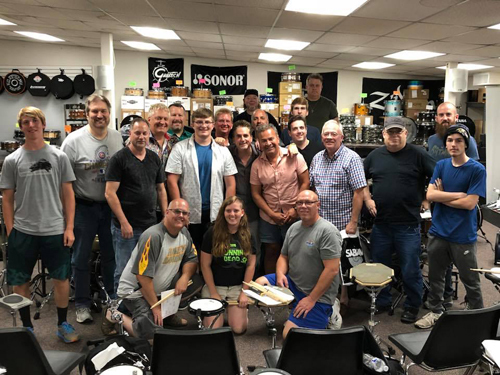 At Explorers Percussion we not only pride ourselves on offering the best products and a fair price, but we also do our best to engage the members of our drumming community and help to connect them with the professionals in our industry. Check out some of the super cool clinics that we have had at Explorers!